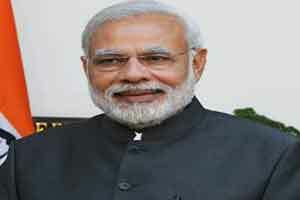 New Delhi: Prime Minister Narendra Modi reviewed the progress of preparations of launch of the ambitious Health Assurance programme under Ayushman Bharat. Mr Modi stressed on providing maximum benefit to the poor and marginalised sections of society, under the scheme. He was apprised of the preparation done so far, including consultations with states for smooth and expeditious rollout of the programme. The scheme would provide a cover of up to Rs five lakh per family and the target would be to cover more than 10 crore poor and vulnerable families. Mr Modi was also briefed on various aspects of the scheme by top officials of the Health Ministry, NITI Aayog and PMO, a release of the Prime Minister’s office said. Last month, on the occasion of Ambedkar Jayanti, Mr Modi had inaugurated the first ‘Health and Wellness Centre’ under Ayushman Bharat, in Bijapur in Chhattisgarh.